Investigate the appointment of the executor. Verify that the person acting as executor is the same person named in the will. If circumstances warrant, investigate whether the testator executed the will according to state law; if the testator's signature was not attested by two witnesses, for example, the will itself may be invalid, thereby invalidating the selection of the executor. Consider whether you can prove incapacity sufficient to disqualify the executor. Courts require a showing of severe mental, physical or moral incapacity that prevents an executor from fulfilling her functions. Occasional alcoholic abuse or drug use will not support allegations of incapacity, but proof that a jury convicted the executor of criminal behavior often suffices. Understand that if you intend to base your objection on the executor's improper actions, the court will require proof of serious malfeasance. Many heirs express dissatisfaction for a slow probate procedure by objecting to the executor, but few courts disqualify an executor on this basis. Find substantial evidence such acts as dishonesty with the court, misappropriating assets or embezzlement. Since an executor owes a very high duty of care to the heirs, any self-dealing will disqualify her. Employ an experienced probate attorney to draft and file a timely objection. Alternatively, file the objection yourself, after conducting research into the proper procedure for and substance of an objection in your jurisdiction. When you file the objection, the court clerk sets a trial date for hearing and notifies the relevant parties. Appear at court on the given day. 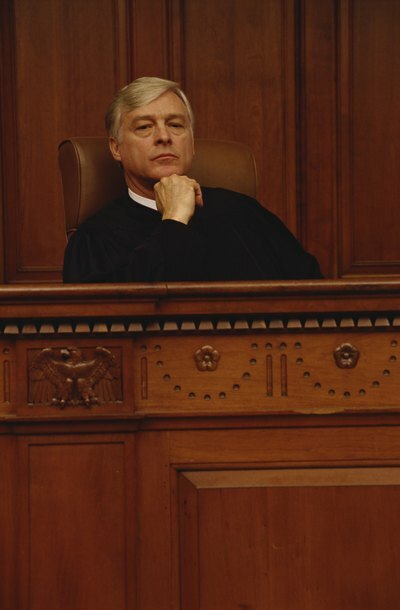 If you are representing yourself, present your evidence and convince the court of your allegations. Just because your loved one trusted an individual enough to name her as executor of his will, doesn’t automatically follow that she’s right for the job. In many cases, decedents write their wills and name their executors many years before their deaths. Circumstances can change in the interim and the executor may no longer be qualified. Unfortunately, beneficiaries often don’t become aware of this until the executor has taken office and they realize she’s bungling the job.